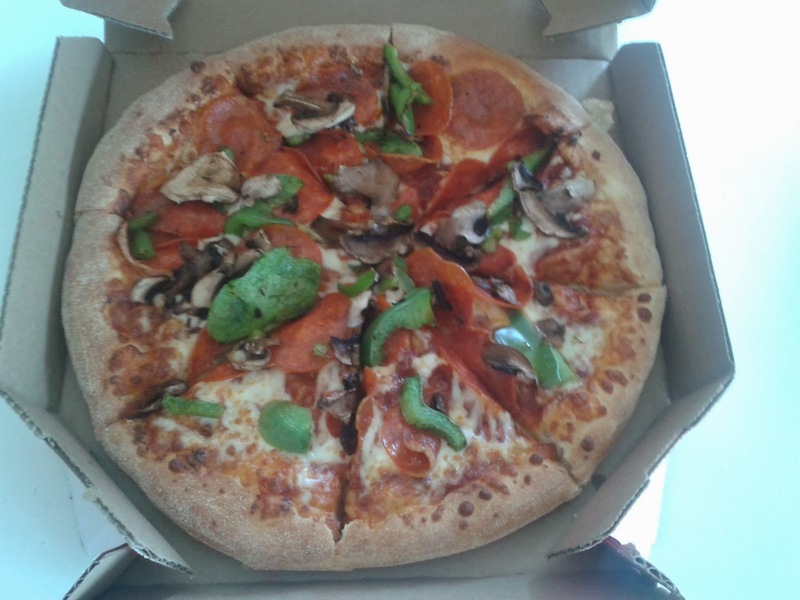 Michael Suddard: Good Domino's Pizza but Hold the Smoke! Friday for lunch I was craving pizza. I had not eaten pizza and a couple of weeks and was thinking where should I go? Hmm....could go to Preston Pizza again, no there must be other pizza places in Little Italy on Preston Street in Ottawa. I went for and adventure southwards on Preston looking for a spot. Sure I could have a couple of sit down places of decent Italian fare but pizza is more my game. 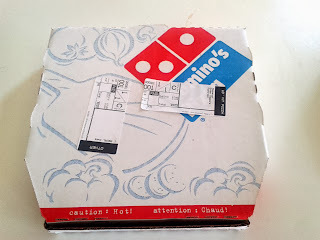 I noticed the Domino's Pizza (300 Preston Street, Ottawa) and cracked, I had not eaten at Domino's since moving from Richmond Hill last year. I stepped up the front step, past the Domino's employee smoking his cigarette. So much for the requirement to not smoke near building entrances. I entered and met one of the coworkers who welcomed me like nothing was going on. The tinge of cigarette smoke lightly in the air. I started by ordering a straight nothing special 10" pepperoni pizza figuring that would be perfect. I was then informed a 10" three topping pizza was on special for less than $10.00. Perfect! The Order: 1 10" Three topping pizza (pepperoni, mushrooms & green peppers) with a 500 ml bottle of Coke. I was promised my order in 10 minutes or less and I was off to wait. I watched the clock tick away towards my ten minutes. At 9 minutes 30 seconds my order was ready! No kidding, less than 10 minutes, that is impressive! Back to the office with my pizza in a box and my bottle of Coke. I arrived at the office and opened the box to find a delicious looking pizza. I dug into the goodness. The sauce was a decent tomato that I had remembered from the Richmond Hill Domino's. The toppings appeared to be somewhat generous without the stinginess I ran into at Pizza Boyz. Heck even the price for a Domino's 10" pizza was $5.00 better with 3 extra toppings than a 12" pizza with 1 hard to find topping from Pizza Boyz. The topings themselves were average freshness from the chain pizza places like Domino's and others. The attempt looked like it was the Domino's corporate expectations. Nothing wrong with the food whatsoever. Overall, this Domino's seems to follow the corporate rules in terms of food preparation with good amount of tomato sauce and average amount of toppings without overdoing it. Pizza deals are great if you go looking for them and don't need something to spec. For example, I went in looking for a one topping pizza and for almost the same price due to a promotion, I could add two extra toppings. The only tweak this place needs is to encourage employees not to smoke directly in front of the location. Perhaps they could shimmy down the sidewalk a bit or perhaps a rear location could be found. The smoke was the only downside to this other pleasant Domino's Pizza experience. So perhaps next time we can find a way to hold the smoke!